Use our simple yet powerful tool filter to quickly and easily find the correct tool, accessory or consumables for your needs. Dynabrade has an extensive range of pneumatic tools for most situations and industries. You can search the complete Dyanabrades library of PDF parts manuals and view and buy parts the parts you need. On-site demonstration on the Dynabrade range of tooling and accessories. We and can also advice on process and consumable use. Dynabrade has an extensive range of pneumatic tools for all types of applications and industries. Designed for operator comfort, power, reliability and control. Dynabrade tools set the bench mark within its industry for quality design, supported by a world class support infrastructure. Get the best from your Dynabrade tool. Manufactured to Dynabrade’s high standards, they are designed to improve accessibility, ergonomics and production. We are pleased to offer a comprehensive range of top quality consumables to fit the entire Dynabrade range of tooling. Available in a range of sizes, grits and finishes, as with all our products we offer 100% product satisfaction. Please fill in the form below to arrange a Dynabrade tool demonstration. We may occasionally send you relevant email promotions and information about new products that may interest you. Dynabrade established their European base in Luxembourg in 1989. Already well established in the USA as a manufacturer of premium air tools, Dynabrade design tools for a wide range of technical applications such as cutting, grinding, sanding, polishing, deburring and filing. Dynabrade tools are used in the automotive aftermarket, AOEM, aerospace, industrial and marine markets for quality finishing of various materials such as metal, wood, plastic, rubber, stone, glass, fibreglass and composites. 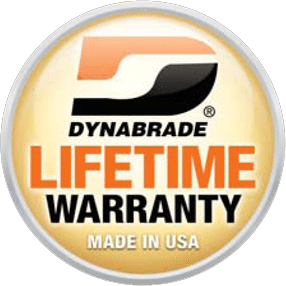 Dynabrade has earned a reputation and position of continued leadership in the innovative design and manufacturing of unique portable abrasive power tools since 1969. Thanks to continuous research and development, Dynabrade produces the most reliable, long-lasting and ergonomic tools on the market that are available through professional distribution networks worldwide. Dynabrade ensures that all tools comply with or even exceed the requirements of Health & Safety regulations. Together with our customers, we define the best solutions for their production processes, achieving perfect results and improving productivity. Both Dynabrade and ourselves provide a world class support for your tooling, accessories and parts. We provide the complete range of Dynabrade products online, as well all parts manuals (both past and present.) All parts can also be purchased online with delivery typically 4-5 days from the date of order. All Dynabrade tools are repaired and serviced by Dynabrade’s own technicians and engineers, with 95% of all servicing and repairs carried out in 48 hours and all repairs carrying a 3 month warranty. To book a repair please click on the link below. When looking for parts online please keep a note of your tool’s serial number, as in some cases the model may have been re-designed and therefore have a new manual. You can check whether a manual is suitable for your tool by looking at the top left hand corner of the first page, which will generally reference the range of serial numbers to which it applies. If you already know your part number, please enter it in the box below.